Continuing to work through the home lab Horizon environment to get things up to Horizon 7.8 so wanted to create a few more quick tidbits of the upgrade process. Today I worked on upgrading my master Windows 10 VM for Horizon 7.8. This involved upgrading the Horizon agent to version 7.8 among other things. 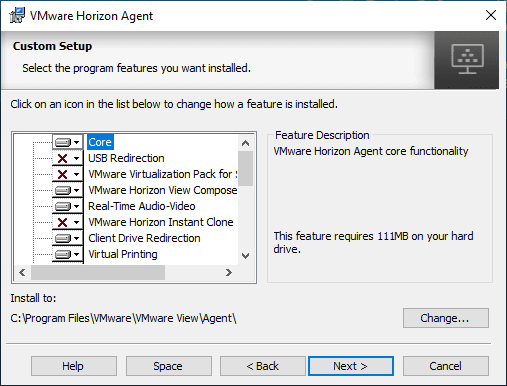 In this quick post, let’s take a look at how to Upgrade VMware Horizon Agent to 7.8. 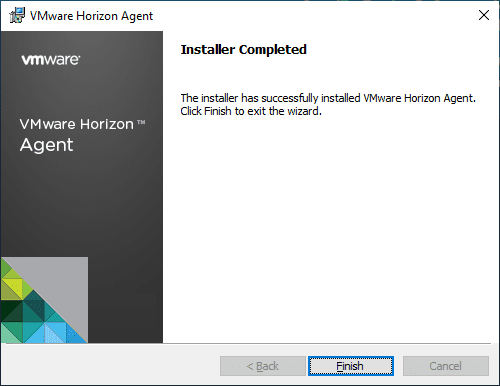 Download and run the new version of the Horizon Agent installer on a parent virtual machine.You can download the installer from the VMware Web site. Below are the file sizes and versions of the VMware Horizon 7.8 Agents downloadable from VMware. 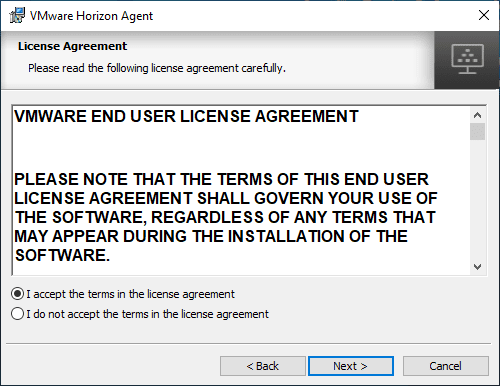 The first thing I did was verify the version of the Horizon Agent that was installed on my workstation used as my clone master. 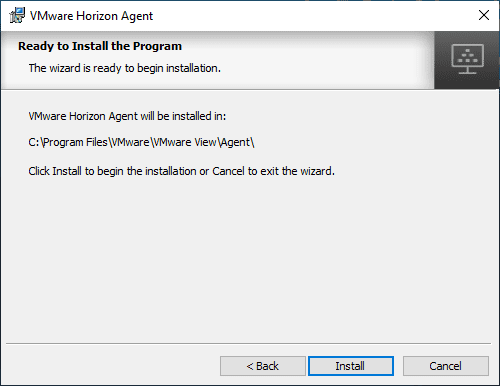 As expected it is showing VMware Horizon Agent 7.7.0. After downloading the x64 version of the file in the screenshot above, I ran the installer and the process is basically a “next, next, finish” process. First things first, accept the EULA. Configure the IP protocol version for establishing all connections. The Custom Setup screen is certainly a screen to pay attention to detail here. You need to decide if you are using View Composer or Instant Clone technology as you can’t install both and you need to install the correct option here to interact with the technology you plan on using. The same situation exists with Virtual Printing and VMware Integrated Printing, you can only have one or the other installed. After making selections, the installer is ready to run. The Horizon Agent installation does not take too long. The installer completes. You will see a prompt for a reboot after the installation finishes. 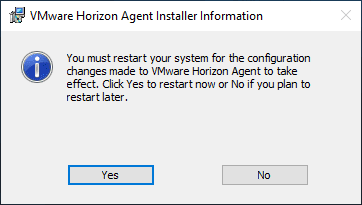 After installing and rebooting, I now see the VMware Horizon Agent is showing 7.8.0. Below, the VMware Horizon Agent 7.8 log file location is found at c:\programdata\VMware\logs location. 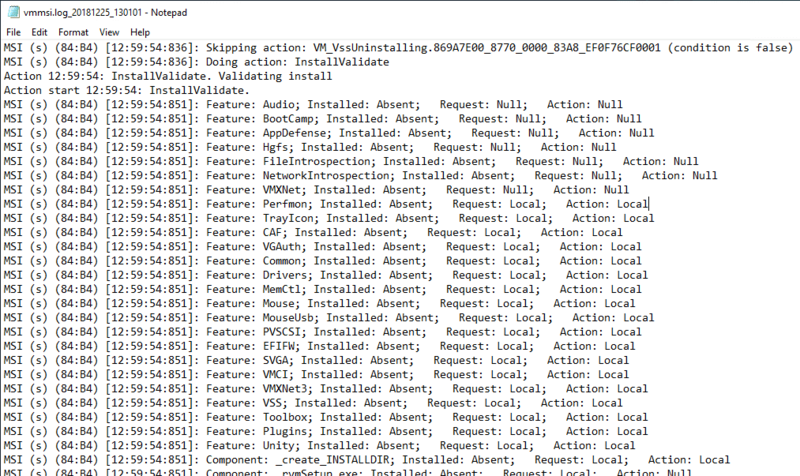 You will want to look at the vminst.log_ logs to see relevant agent information. Look for the Feature: section to see the features that were chosen during the installation. 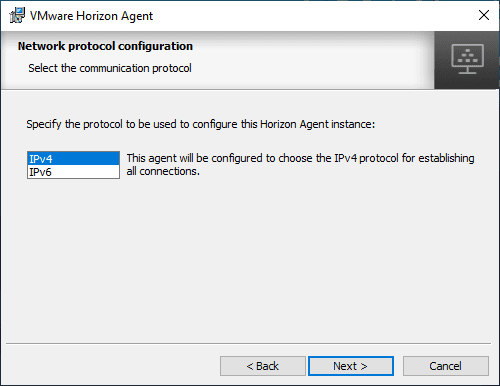 The process to Upgrade VMware Horizon Agent to 7.8 is not difficult. You simply download the installer and run the installation on the workstation. The installation will replace/uninstall the previous Horizon version as I had 7.7.0 installed and the installation correctly replaced the previous agent with the 7.8.0 version. Paying attention to detail during the Horizon Agent installation is needed, especially on the custom setup page. Here is where the detailed components of Horizon are chosen, so you want to make sure to make the right choices on the type of clone technology, printing, etc, that you want to utilize in the environment.